If you don’t know what those pictures are, don’t worry – most people wouldn’t. 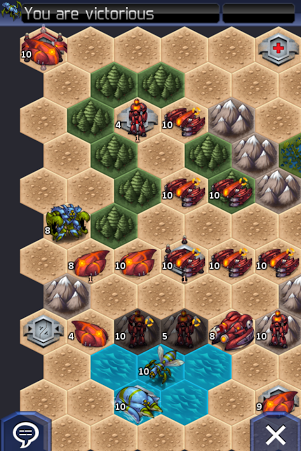 They are screenshots taken from my various ongoing turn-based strategy (TBS) games: Uniwar, Great Big War Game, Front Wars, and Swords and Arrows. I love TBS games. 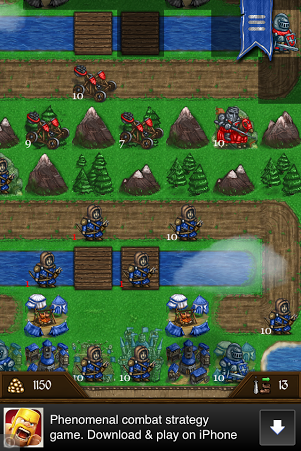 Ever since I put in nearly 500 hours playing Advance Wars and (probably) another 500 playing Civ 4 and Civ Rev, I’ve had a tremendous affinity for any game that lets me capture bases, build an army, and defeat my opponent one turn at a time. For this reason, the smart phone era has been particularly delightful for me. Phones have proven to be the perfect hardware for TBS, and developers have responded, releasing at least ten very solid TBS IPs since 2009. That is ten solid games in five years. For comparison, it took Nintendo seven years to release their four acclaimed Advance Wars titles (2001-2008), and they were pretty much the only games in town, literally and figuratively, next to the Civilization series. So the recent explosion of TBS has me tickled pink. However, as pleased as I’ve been, I’ve recently noticed the coverage of the TBS scene is severely lacking. Certainly, the TBS crowd is pretty tiny compared to LoL, DOTA, Starcraft, CoD, or even fighting games, but it seems like there would be something on the internet, some resource specifically geared to TBS fans. 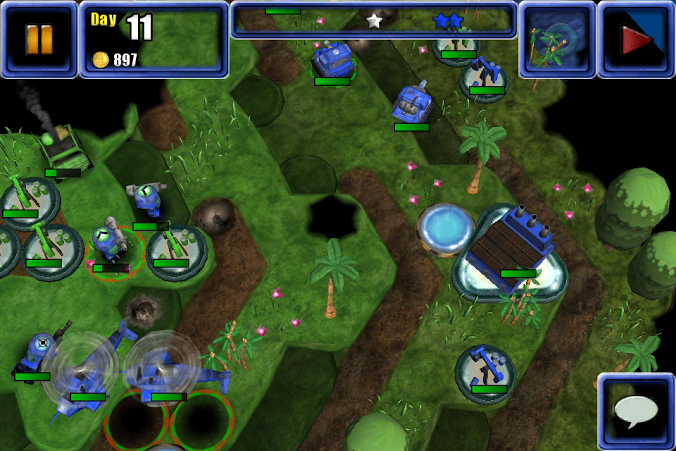 Instead, gaming sites like Toucharcade lump TBS games in with all the other types of strategy like tower-defense, real-time strategy, simulation, board games, and puzzlers. Heck, one egregious site even classifies Angry Birds as a strategy game! Seriously. This makes it annoying when you’re trying to simply locate turn-based strategy instead of the latest Plants vs. Zombies, as one must sift through pages and pages of search results to cull the wheat from the chaff. Another issue is incomplete information. Take Metacritic, for example. Metacritic does a great job of separating TBS from real-time strategy, simulation and plain strategy. But, their lists are incomplete to the point that a popular title like Uniwar doesn’t show up on the TBS list. Heck, it doesn’t even show up on their list of regular strategy games! If I were going strictly off their list, I wouldn’t know that Uniwar exists. Of course, in fairness, Metacritic does have an entry for Uniwar (for which I wrote a review), but the fact that UW doesn’t show up on the TBS list is a problem. So, here’s the big announcement. Drumroll, please! I’ve decided to start a separate section of the Mind Palace devoted specifically to turn-based strategy games. Thank you, thank you, the applause is very much appreciated!! 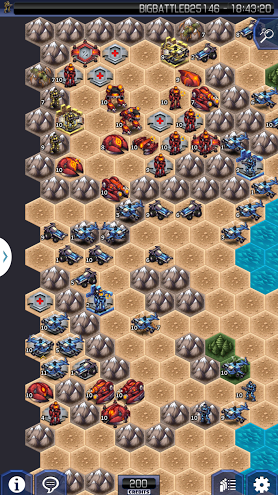 The goal of this section is to provide turn-based strategy enthusiasts a place to find an exhaustive list of TBS games as well as content including (hopefully) reviews, strategy guides, leaderboards (notoriously tough to keep updated so I’m pessimistic), and other odds and ends like tournament info, upcoming games etc. NOTE: If it sounds like I’m treating TBS games as competitive games, that’s because I am. 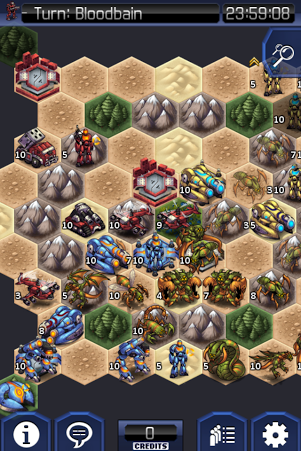 I believe that TBS games can be every bit as compelling as RTS and can hold down a just-as-rabid-but-smaller fanbase as something like Starcraft. Call me crazy, but look at chess – it is treeeeeeemendously popular, and it’s CHESS. Can we one day have a TBS movie a la Searching for Bobby Fischer? Your guess is as good as mine, but the point is, chess is a compelling, competitive game and I believe every good TBS title has the same potential. Btw – I like chess but I’m terrible at it. The ability to build and deploy an army. 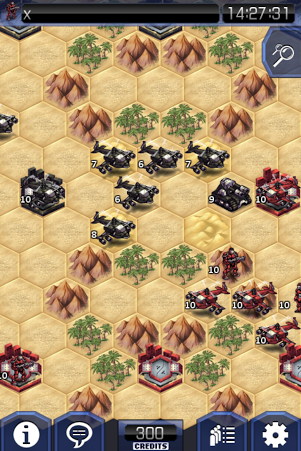 Some RPGs are turn-based, but there is no army building. Instead, players deploy characters with special strengths. While cool, this isn’t the kind of game I’ll be addressing. Some sort of resource accrual eg. capturing bases, towns etc. 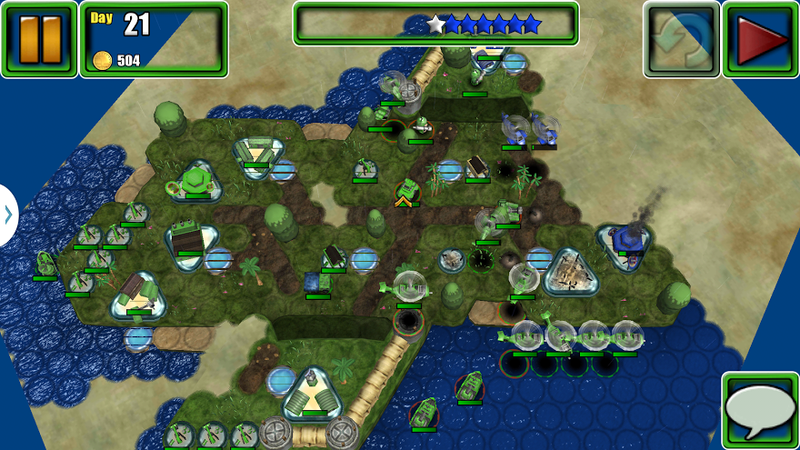 Neuroshima Hex is rad, but it has no resources to gather/fight over. So, it’s out. Maybe it belongs in a to-be-created separate section. Hmmmm…. Online multiplayer functionality or, in lieu of online, at least amazing local multiplayer options ie hot-seat or system link. Most phone games have great multiplayer, but this will potentially eliminate some. And the hot-seat component will allow pre-internet-gaming-is-everywhere games to make the list. 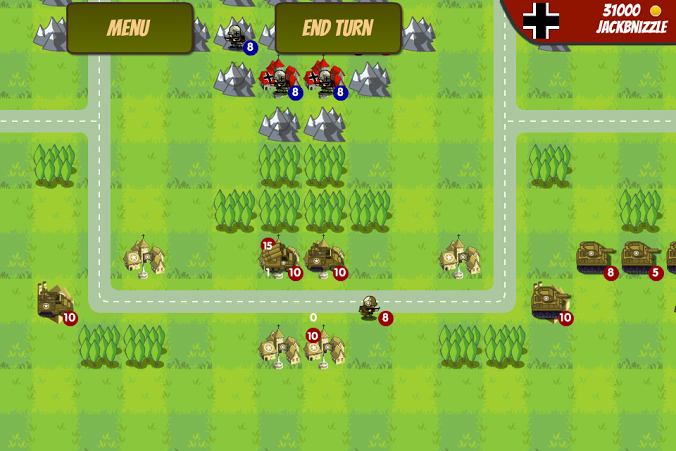 Think Advance Wars. Games must meet these criteria to be listed on this site. 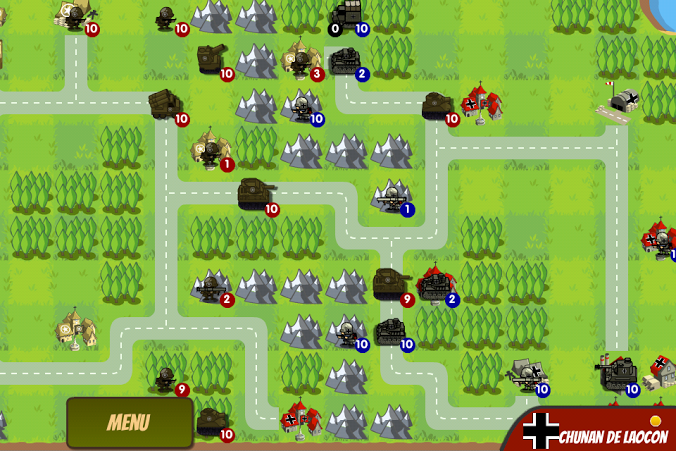 So, basically, this will be a page to cover games that appeal to my inner Advance Wars fanboy. If that suits your fancy, then welcome! And if you hate AW-type games…. Well, this might not be the site for you :D.
In closing, I’ve never run a site like this, so the above criteria are subject to change. Also, as I’m not an industry professional (yet), I might not have the most up-to-date news early on. I will try, though, to keep things as updated as I would want them to be if I were a reader. So build some tanks, capture some factories and let’s take over the world. Grant Stevens is a writer who writes and plays TBS games. He also plays a ton of Halo, and he and his buddy Kris connect as much as possible to throw down on Street Fighter X Tekken. He is also into apologetics, and he performs music when he can. And he recorded an album! Check out a few tracks here. Awesome stuff! Of course, being the strategy nut that I am, I want to say my 2 cents. I like that tbs games are finding a home (finally) on ios systems as well, but there are some games that I noticed you didn’t mention, specifically for the PC. The most recent and awesome TBS experience on the PC, which I’ve clocked in about 150 hours, is XCOM – and it’s expansion. You seriously need to play this!!! It is hands down one of the best TBS games there is. 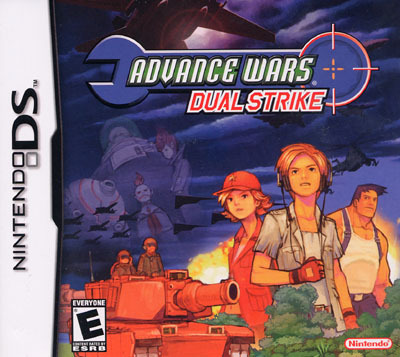 Also on the pc are several games that are worth mentioning, that existed waaaaay before Advance wars. Back in the 90’s I remember rocking Heroes of Might and Magic 2!!! 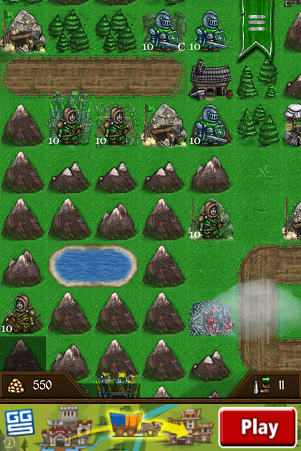 The Heroes series is great – it has grid based combat, heroes that you level up, and Towns that you conquer. Also, Russian developer Katauri makes King’s Bounty on the PC which is an amazing TBS game. It doesn’t have the resource management that Heroes does, but it doesn’t need it. You also have the Total War series on PC….Rome, Medieval, Shogun, those are pretty good – my favorite in Medieval. Like Civ games, Total War will kill your time and keep you up till 3am, taking just one…more…turn…..and then it’s 5am…Last but not least I’d recommend Galactic Civ 2, and to keep an eye out for Galactic Civ 3. I think 3 is slated to release sometime this year, and it looks great! Anyways, just wanted to share that wealth of info. 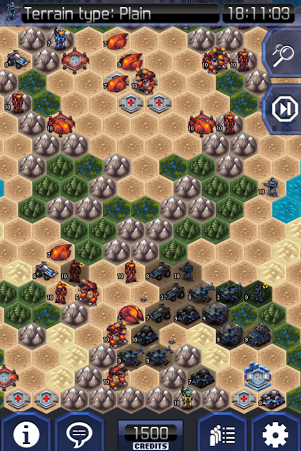 I’m happy that TBS games are on my iPad, but when I want an epic campaign, I need my pc! Peace out! Indeed I didn’t address many of the great backlog of TBS games out there, but I plan to. Just a couple of examples would be the Age of Empires/Mythologies titles on the Nintendo DS and the multi-platform Dai Senryaku series; I find those to be quality competitive games, so I want to make sure to mention them despite their age. You mentioned looking to the PC for an epic campaign. Campaigns are actually not something that I’ll consider in my coverage. My focus is very narrow – I will be primarily addressing games that have a competitively viable multiplayer component. I own X-Com, but I have hardly played it so I can’t comment. I’m sure if it meets the criteria I’ll give it a place of high honor, too :). Same for the other titles you mentioned.